Big trucks take a certain type of mechanic to keep it running in top shape. The workers at Elkhart Mechanics have the tools and the knowledge to keep your medium and heavy duty truck or van purring like a kitten. We know that the big trucks or vans get used hard at the work site and you can’t have them breaking down. So bring them to Elkhart Mechanics where they’ll go over every nut and bolt to make sure you aren’t broke down. Elkhart Mechanics will check everything from the engine, diesel or gas, tires, axles and hydraulics. We know that your big truck or van is your lively hood; it helps put food on the table for your family. So bring it to Elkhart Mechanics now! We at Elkhart Mechanics are proud of our commitment to keeping all the vehicles of northern Indiana running smoothly and efficiently. When you hear about a full service garage, the first thing that usually comes to mind is cars, but the technicians at Elkhart Mechanics are skilled at servicing and repairing more than just cars. 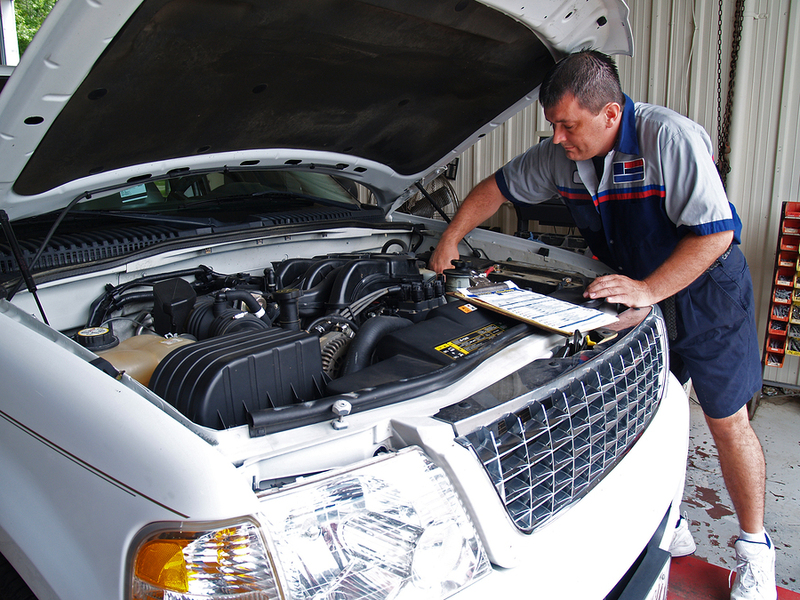 We are also equipped to perform maintenance on full-size vans, pickup trucks, four-wheel drive off-road vehicles, and even small and medium-sized buses, light trucks, and RVs. We even can even service entire fleets of such vehicles for our business clients. We have been a fixture of the northern Indiana community for decades, and we have equal expertise in servicing gasoline engines and diesel engines, automatic transmission and manual transmission vehicles, and old vehicles and new. We are much more than just a neighborhood oil change place. We can fix everything from air conditioning systems to drive axles, and we can even rebuild your vehicle’s entire engine if we have to. No job is too big for Elkhart Mechanics. We have enough space and large enough equipment to accommodate big vehicles. We are up to date on the way that new models of trucks differ from older ones and all the ways that light trucks are different from cars and from heavy trucks. If you use your truck or van for a small business, then you cannot risk taking it to an inexperienced mechanic who will make it need even more repairs. We understand the important of small business to the community, and we believe in supporting local business. Bring your van or truck to Elkhart Mechanics, and we will help you get back to work quickly, or bring your RV, and we will help you get back to camping and helping Elkhart live up to its reputation as the RV capital of the world.